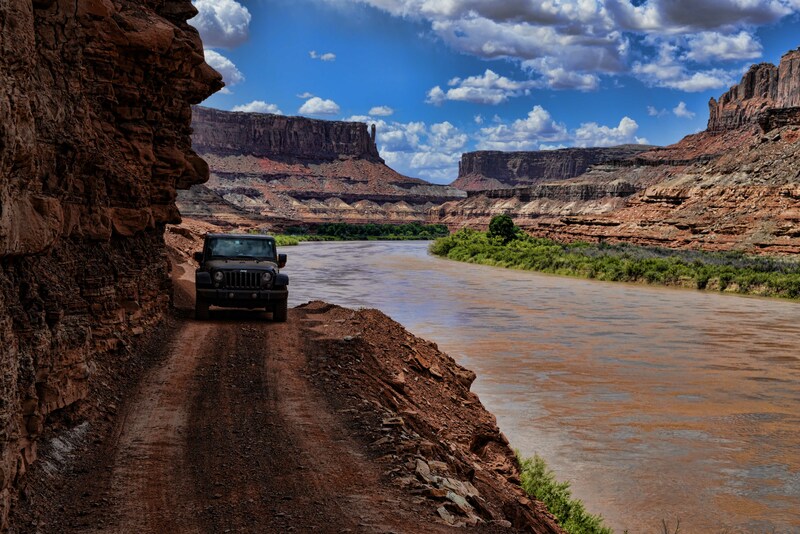 Parts of White Rim are challenging and it’s all spectacular, so we wanted Chris and Laura Moxley — in their Jeep Rubicon — to experience it with us. 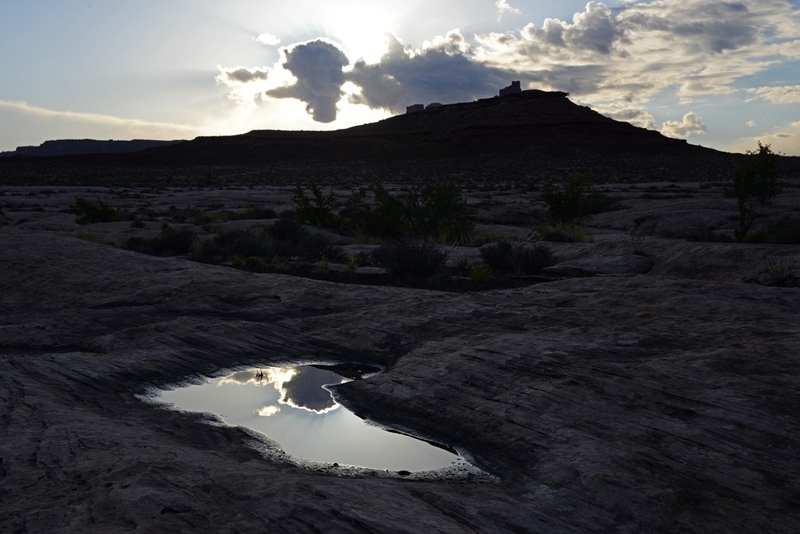 After stopping in Moab at Gearheads for supplies, we entered the national park via Gemini Bridges Road. 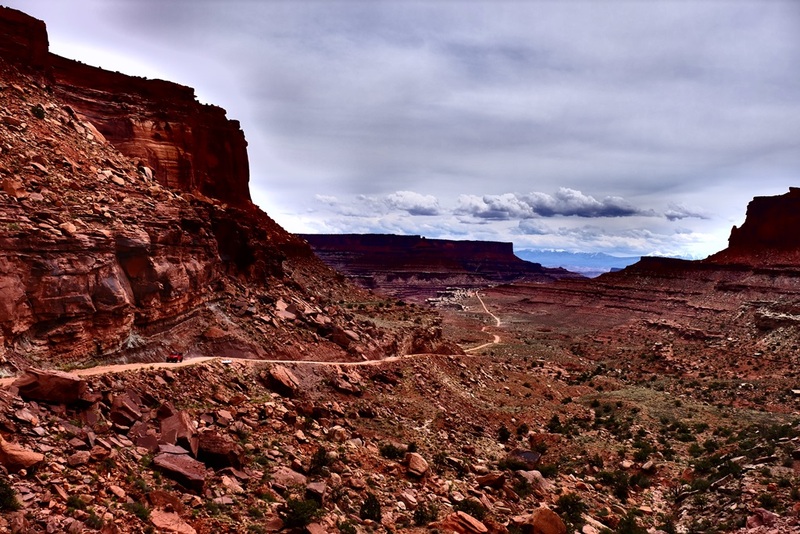 We did the trail in a counter clockwise direction, starting with the switchbacks of Shafer Trail and the sight of the Colorado River running along our path to the east. Along the way, Laura conquered Murphy’s Hogback and Chris drove over Hardscrabble Hill, two of the most technical sections of the trail. 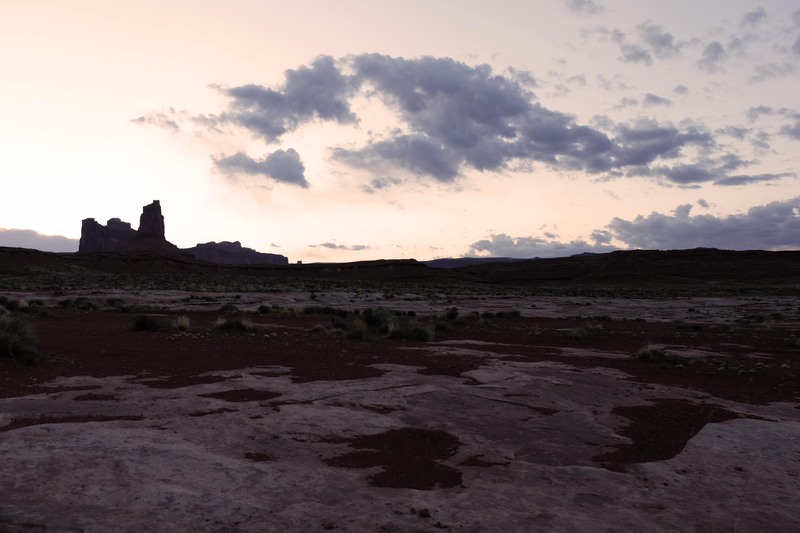 We camped at Candlestick Campground, where we shared a large campsite with a view of the Green River very near the canyon rim with an interesting group from Toronto: Jackie, Dennis and Ray. Jackie joined us for a glass of wine after dinner, and Dennis strolled with Bill and I to the canyon rim for some sunrise photography the next morning. Before we left camp, we were paid a surprise visit by a couple of young park rangers, checking on permits. Wouldn’t want to run afoul of these fit fellows packing large sidearms and handcuffs! We finished the trail about noon and enjoyed a farewell lunch with Chris and Laura at the Moab Brewery before they headed back to Oklahoma. 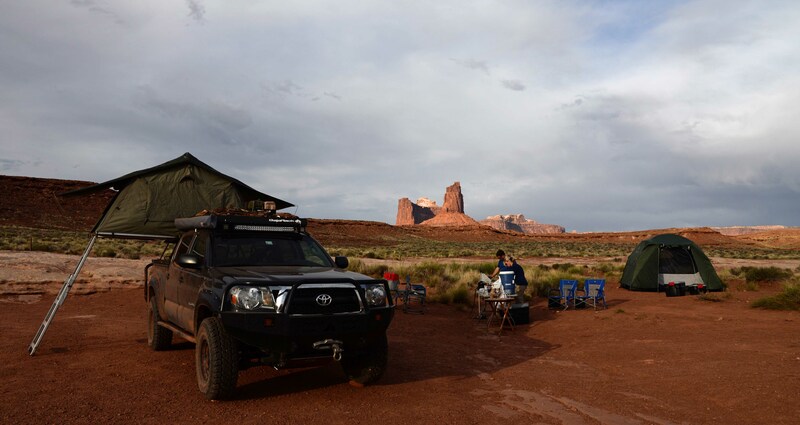 Thanks for joining us at Overland Expo and for the adventures beyond, Chris and Laura, we had a blast! 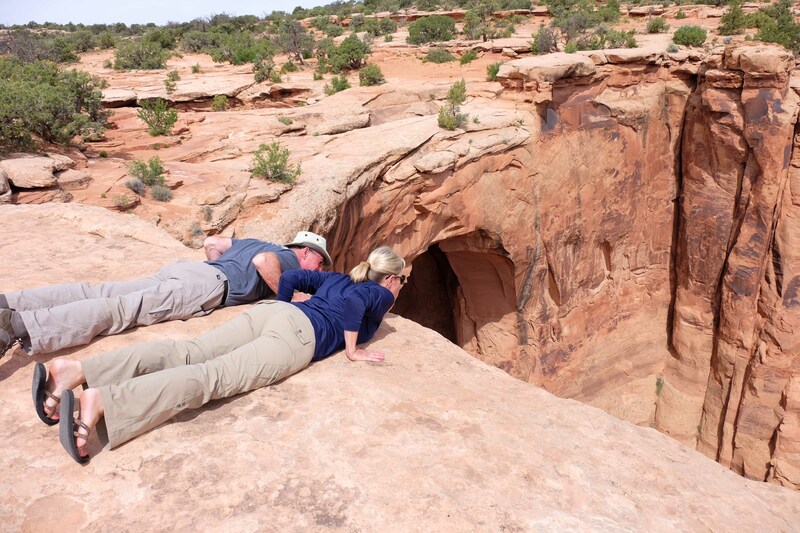 Next, Bill and I go on to tackle the Utah Backcountry Discovery Route north of Moab. Stay tuned! 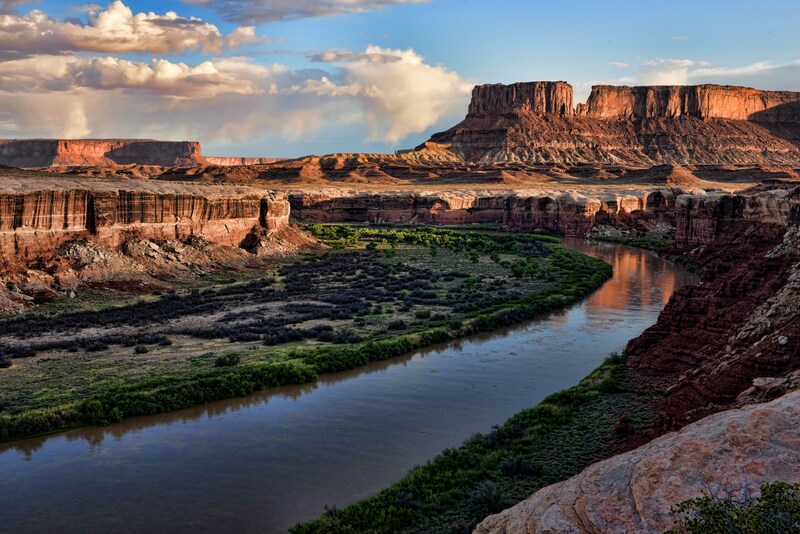 “Sunrise on the Green River” is absolutely stunning!. Great image.